Attracting high-quality traffic is essential to all businesses. When someone searches for your brand, your digital presence should occupy almost the entire first page. Our holistic approach to optimization gets all of your digital properties ranking for branded terms so that you own your online reputation. 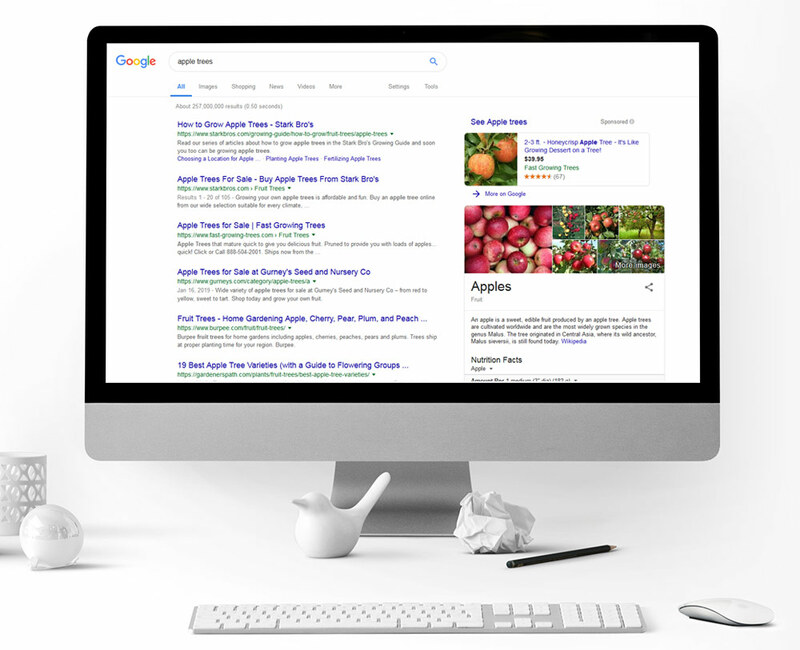 Image search, voice search, video, and apps – all are part of organic search and have changed the way that we think about SEO. Responsive, mobile first, adaptive – optimizing your site is much more strategic than simply throwing on some meta data and hoping for a thumbs up from Google. SEO continues to serve as a critical part of the digital marketing puzzle that amplifies and makes better use of other channels such as social media, paid search, and display advertising. Whether you have a thousand-page ecommerce website, or a simple 10-page static website, we’ll work to optimize your site for a variety of keyword combinations that consumers use to find your products, services, or information. This approach allows us to target consumers at various stages of the buying funnel, driving them to your website and guiding them towards conversion. Every SEO project begins with a structured audit of your website, its performance, and its appearance in organic search results. From this audit, we’ll develop a strategy and plan to help improve your website’s health. The Vertical Rail team takes a multi-faceted approach to SEO. It’s critical that we identify areas that are lacking and determine an SEO strategy customized to your business and goals. We start with an assessment of your current website SEO to get an overall baseline of performance. What keywords or long tail phrases are not being utilized? Are all opportunities to improve organic search being taken advantage of and being used correctly? We incorporate a technical crawl and analysis of your site to identify any technical issues that need to be fixed. Since Google aims to give users a good experience on the web, technical optimization remains a critical part of your website’s performance in organic search. Google is constantly changing and updating, so there is always room for improvement. We’ll find data about keywords that are relevant to your business, and gauge competition and seasonal trends. We perform this work delicately, being careful to send the right signals with a keyword frequency that is natural, enticing, and engaging to users. Aside from keywords, website structure, load speed and coding are crucial for search engines. We’ll work with you to restructure your sitemap to best position your website for search. Once your website and content have been optimized, we can focus on link building and creating shareable content. This will not only help to build your authority within search engines, but increase your online visibility and traffic as well. Communication is key. We offer a consultation based on expert marketing analysis, where we’ll discuss our findings, and share with you a breakdown of what we can accomplish for your business with SEO.